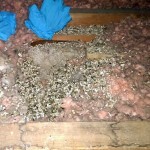 Save Time and Money Call Stutters DKI for an Infrared Camera Home Inspection. 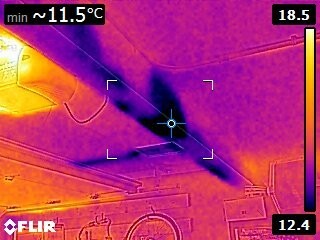 Infrared cameras are another vital tool for Stutters DKI Restoration. 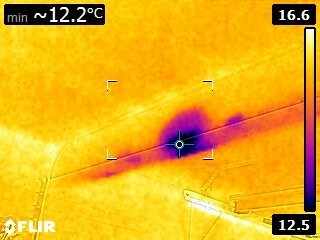 The infrared camera shows temperature differentials and thermal patterns. 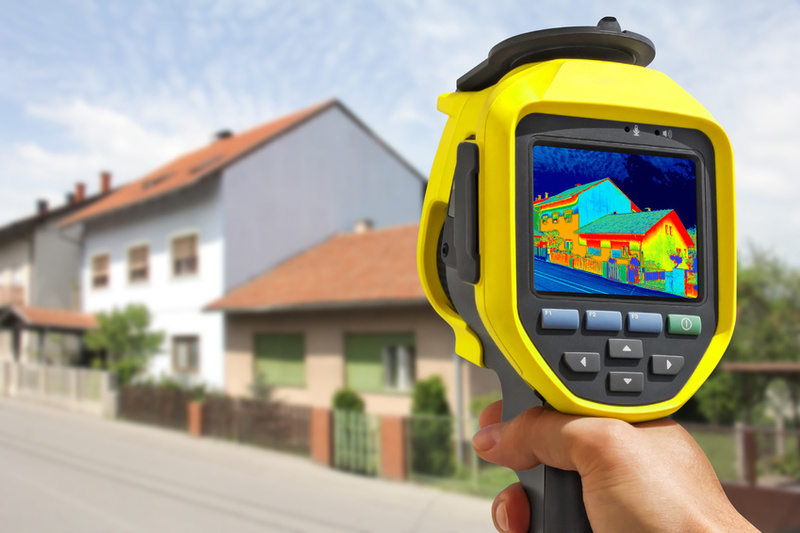 The rainbow colored images can help identify cold spots due to drafts or uneven insulation, but can also help to spot moisture which shows up as a dark blue spot on the image. 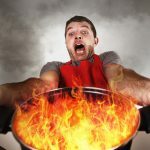 Since infrared cameras can pinpoint the exact location of moisture problems, any necessary repairs can be minimized saving homeowners the aggravation of hunting down an issue. 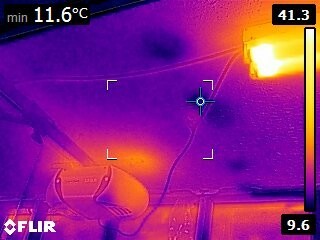 Infrared cameras are ideal for detecting moisture from dripping plumbing, leaks around windows, vents, basements and your roof. 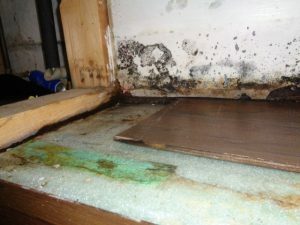 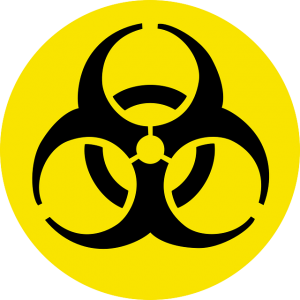 As we all know moisture and similar conditions can promote mold growth which is bad for your health. 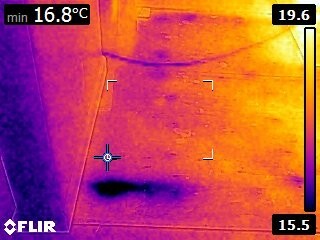 Stutters DKI has highly skilled technicians that can interpret the thermal images and make sure your home is DRY. 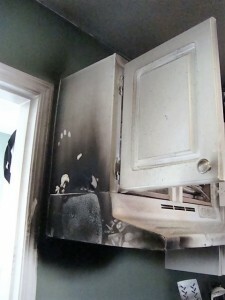 Situations where infrared cameras can benefit the homeowner.